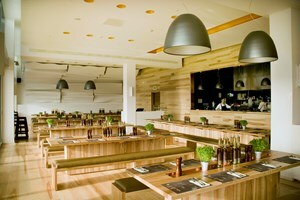 In collaboration with Fowler & Co we fitted out two restaurants. 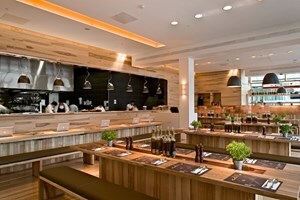 The first, at the Westfield Shopping Centre, included the installation of ash tables and leather seating, an ash and copper servery surround, the bar and hanging shelves, and all outdoor furniture and planters. 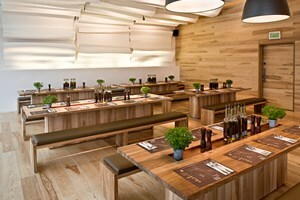 The second fit-out was for Kitchen Italia in Covent Garden. As with the Westfield job, this involved the fitting of new banquette leather seats and ash tables including a 10m central table. 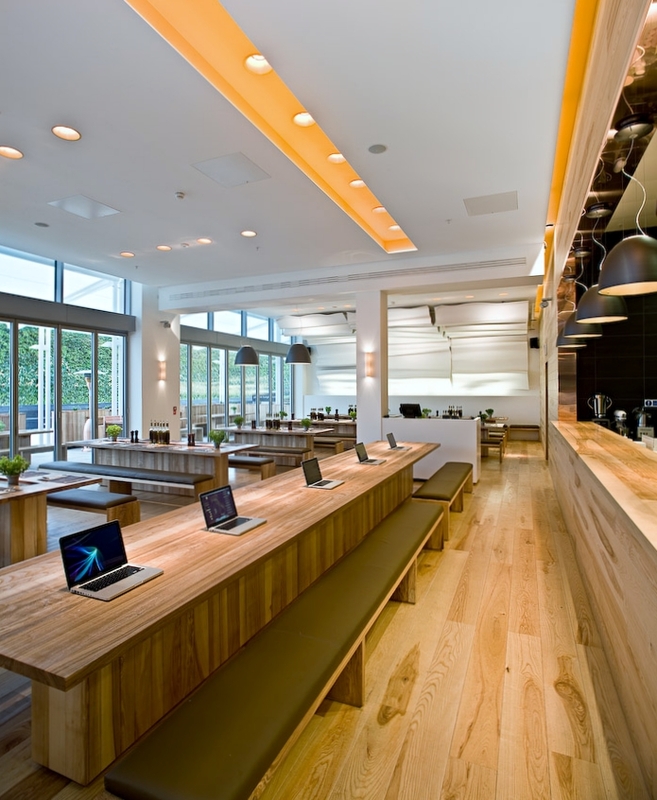 We also fitted the servery and backlit bar furniture. 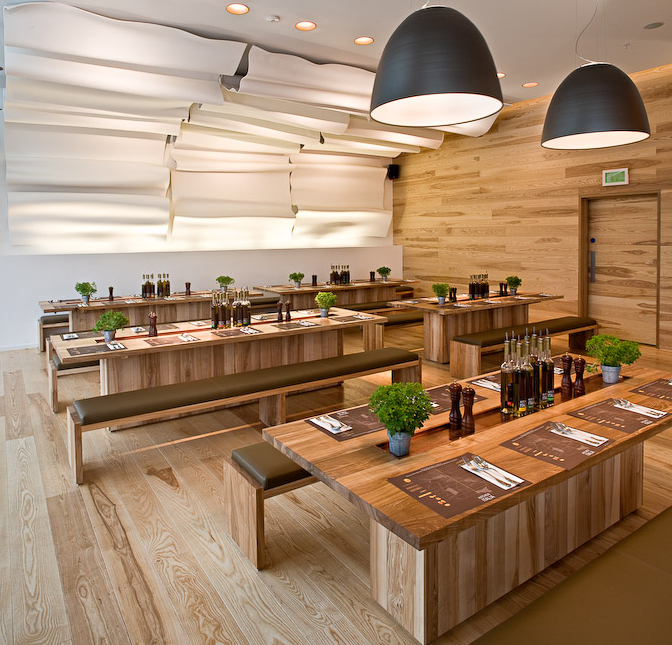 Each of these fit-outs was completed to a very tight timescale.